I have recently ( 2018) done my Bachelor in physiotherapy from Kathmandu University School of Medical sciences. 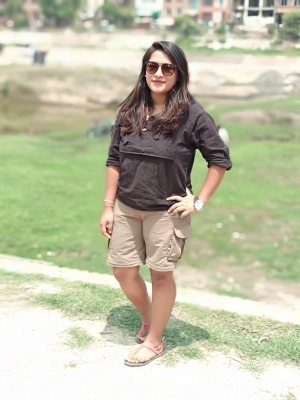 I have completed my 6 months internship from Dhulikhel Hospital.During our bachelor course,i have done a thesis with my supervisor on the topic " Prevalence of behavioral problem among preschoolers using SDQ "
I qualified my bachelor in physiotherapy from Kathmandu University School of medical sciences in 2018. During our clinical placement, we have been exposed to various clinical settings and patients. I am now working as i physiotherapist in a rehab setting for neurological patients. still i feel like i have to learn more in my life because learning is a never ending process. I believe that change is in our hand and being a physiotherapist, we have to utilize the recent evidence and help people to improve their standard of living and increase their quality of life. 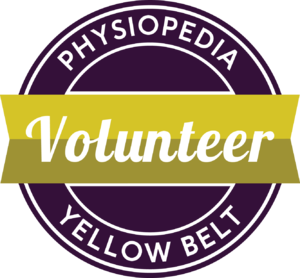 i feel so lucky to be a part of physiopedia because during our study, we have learnt a lot from the physiopedia and i feel like i am helping the future generation of physiotherapy students to increase their knowledge. Bachelor in Physiotherapy from Kathmandu University School Of Medical Sciences. Thesis on topic "prevalence of behavioral problem among preschoolers in Bhaktapur using SDQ"